Snapdeal is back again with a new Smartphone’s Flash Sale. This time its time for Micromax canvas Spark 2 – Cheapest 5″ inches Smartphone in India ! Registrations are open for the sale on 30th September 2015. Micromax in order to make its presence in cheap smartphones list launched Spark 2 at a great price point. Phone is at its best but the RAM of 768 MB is a big setback of it. Sale Date: 30th September 2015 Time: 12:00 PM (noon). Registrations close at 8:00 PM on 29th Sep.
5 MP High Resolution Rear Camera + 2 MP Front. 5.0″ IPS Screen + Upto 10 Religional Languages. Android Lollipop v5.1 with the all new One Touch Launcher. 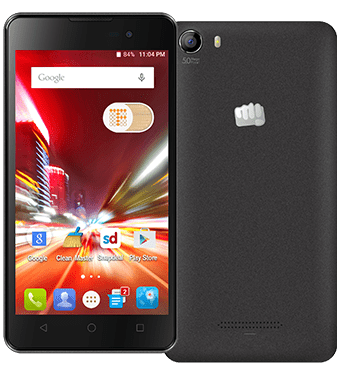 How to Register for Micromax Canvas Spark 2 Flash Sale ? See your Mail’s Inbox for further Sale Updates and Steps to Buy Canvas Spark 2.